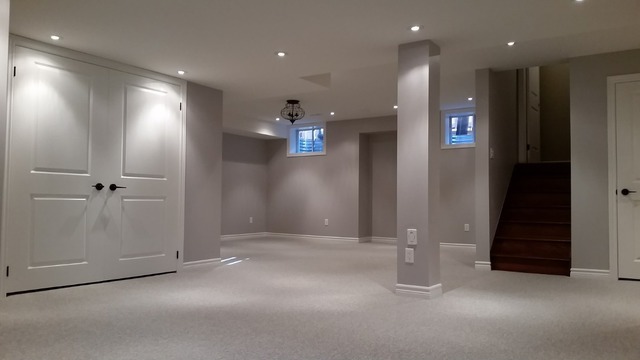 HomeStars > Basement Renovation in Vaughan > Robinson Renovations > Finished Basement Including A 3 Piece Bathroom. 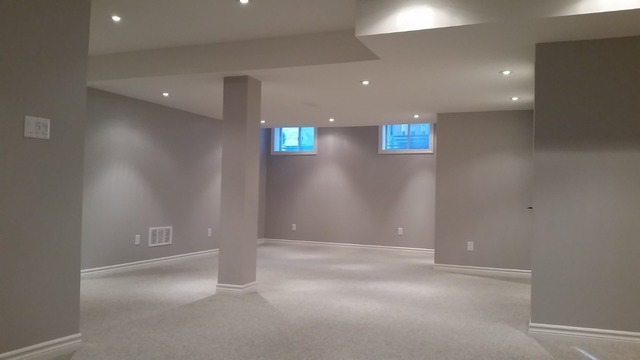 Finished Basement Including A 3 Piece Bathroom. Chris was an absolute pleasure to deal with. 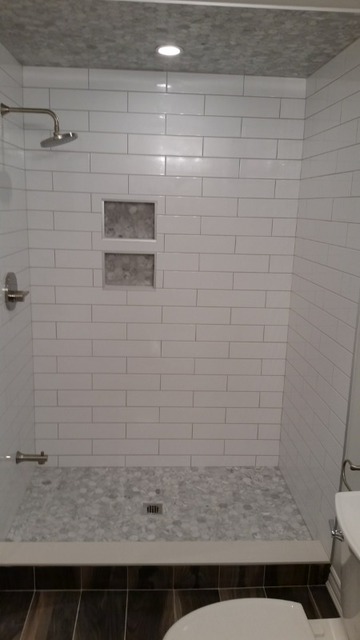 He provided us with an estimate for the job as well as a timeline. 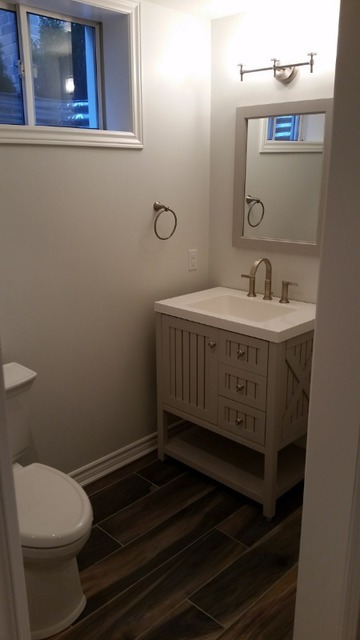 The job was completed on time and on budget. The finished product was amazing and beyond are expectations. Chris was always available to answer any questions or concerns that we had. I would highly recommend Chris and have already to family and friends. Hello Blair! Thank you very much for taking the time to complete a review. It was a pleasure to work with you and your family on this project and I am thrilled that you are so happy with how it turned out. I hope that you and your family can enjoy the new space for many years to come!